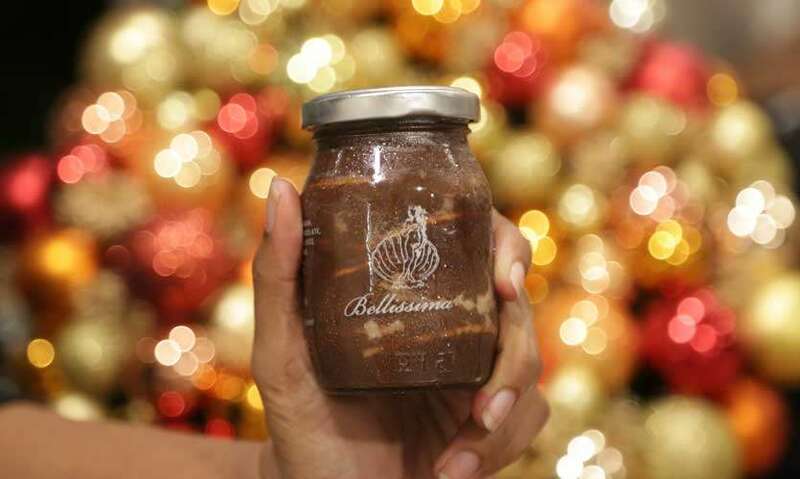 Most people share food, but they draw the line when it comes to desserts from Bellissima and I wondered why, until I tried some of them myself...sorry, I’m not sharing either. Please stay away if you happen to see me holding one of their jars! Let’s move on and talk about that divine Mint Chocolate Biscuit Pudding simply because I am in love with this dessert! The chocolate and mint are perfectly balanced in this jar and both flavours swirl pleasantly in your mouth, making you crave the next spoonful. 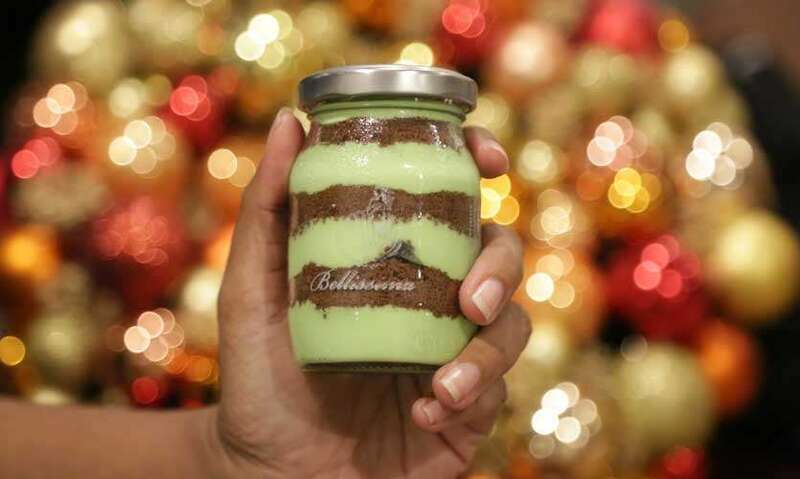 This is one of Bellissima’s originals - it’s a mint cream combined with crumbled chocolate biscuits - and a must-try for all you mint lovers out there. The other flavours are equally addictive, especially the Salted Caramel Biscuit Pudding and this verdict is coming from someone who isn’t much of a caramel fan. Your first spoonful greets you with soft, deliciously sweet and buttery tones, while the salty flavour goes a long way in helping to diminish any potential overdose of sweetness. This pudding makes a very satisfying conclusion to a spicy meal. 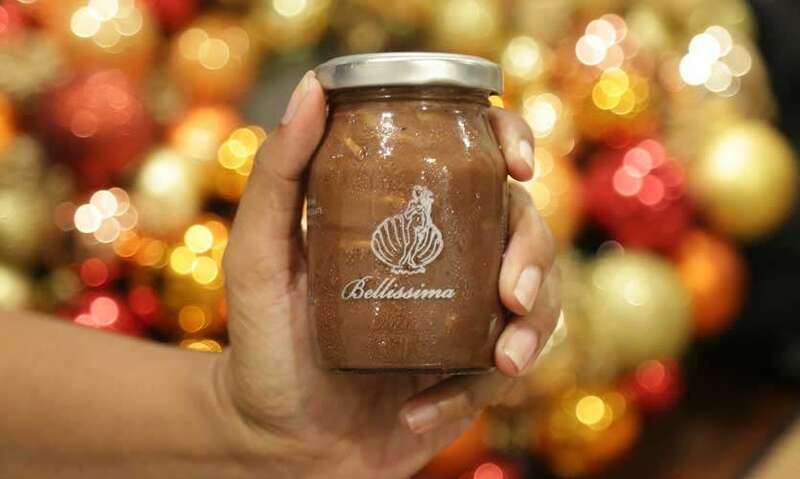 There is also the Classic Chocolate Biscuit Pudding, which I believe is the first flavour that Bellissima served up. Non-alcoholic and egg-free, this is an ideal dessert for lacto-vegetarians. 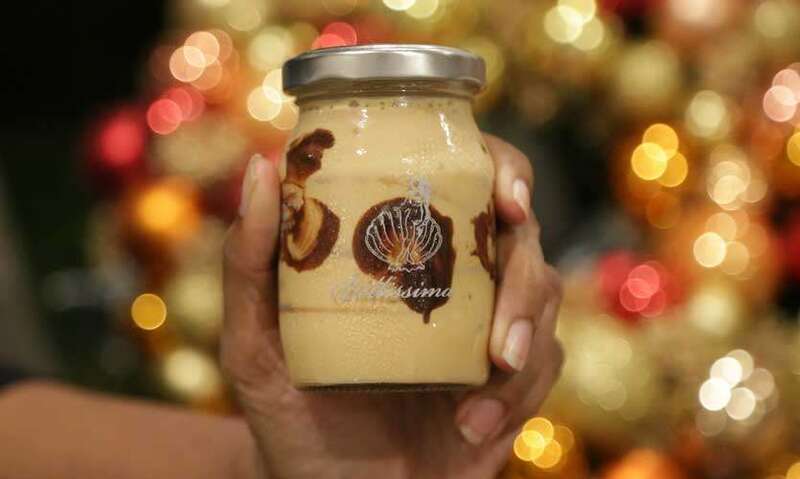 The creamy is rich, silky and perfectly matches the texture and consistency of the biscuits. This is guaranteed to be one of the finest desserts to ever cross your lips! If you’re looking for a little ‘buzz’ in your dessert and a drunken grin afterward, go for the Orange and Arrack Biscuit Pudding and the Baileys Biscuit Pudding, which are well known for their famous accompanying ‘kicks’. The former boasts of tangy orange, sweet chocolate and smooth arrack, while the latter gives you a delicious whiff of the light Irish whiskey as soon as you open the bottle. It’s also the first flavour you taste and is followed by a creamy milky hint at the end. The sweetness of the white chocolate is perfectly balanced with zesty taste of the raspberry in the White Chocolate and Raspberry Biscuit Pudding and you will experience alternately sweet and sharp flavours as you enjoy this dessert. Each pudding is perfect in its own way and contains distinctive ingredients that add up to an equal level of sweet satisfaction and are nothing short of delightful. Dush, what were you doing before Bellissima happened? I majored in Finance and worked in the US for a while before coming back here and joining Amba Research. I knew that I wanted to get into the food industry before I hit 30, so I left and started up Kottu Station with a friend. 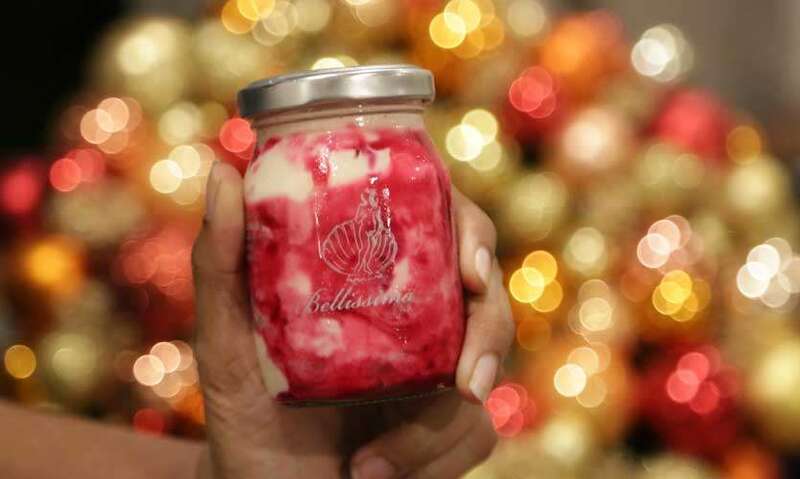 That was the beginning of my learning curve where, after working at several other cafes and food businesses, I gained the expertise I would need before I started Bellissima. 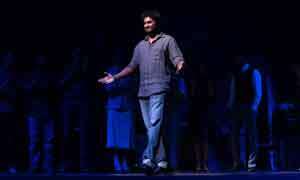 Bellissima celebrates 5 years. 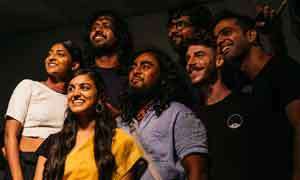 What has the journey been like? The past 5 years have felt both extremely short and long at the same time! It’s a really strange, almost surreal feeling. Things haven’t always been easy, but I am proud to say that all the lessons I learned were finally applied to get the positive and successful results I needed. There isn’t one golden rule that you can really apply, since what would work for one person might not work for another, but in general: surround yourself with the right people whom you trust and who also have more experience than you as they will help you grow. Just as importantly, you have to be sure of what you’re getting yourself into since you will be eating, sleeping and breathing your brand, so if it’s not something you feel passionate about, stop and think twice as to whether you really want to get into it. Be sure that you understand your business and it’s something that you’re intimate with. A combination of all this will set you up for success. Are there any new flavours and product introductions that you’d like to tell our readers about? We have introduced the Matcha Biscuit Pudding which is the first of its kind and exclusively available at Ramen Misoya, as it complements their menu to perfection. I am receiving very good feedback from it! We have also introduced a Mini Jar which can be customised with flavours from the standard range for weddings, parties, corporate events and other functions. I would love to be known globally for one reason: My life’s passion has always been to put Sri Lanka on the map in terms of its cuisine and see our country becoming a sought-after food capital. 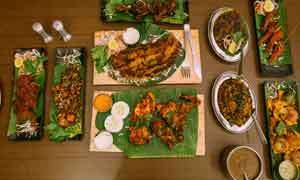 To achieve that end, I need to be known outside of Sri Lanka, so I want to grow bigger and be well-known internationally, which would give me opportunities to introduce the world to the wonders of our cuisine. Bakes by Bella, Kopi Kade. Also available on Uber Eats. Brew 1867 by Dilmah, Black Cat Café, Life Food, Rocco's, Ramen Misoya, Brick Lane Cookie Company, De Vos Café, Geek HQ, SugarCube, Cafe Jumping Bean, Heladiv Tea Club, 24 Seven Bakes by Bella, Kopi Kade. Also available on Uber Eats.